IPC is a message passing mechanism, right? After all, it’s an acronym for inter-process communication? That’s historically true, but seL4 IPC has come a long way, and its IPC primitive is quite a different beast from message-passing primitives offered by other OSes, even quite different from the original L4 IPC. The last was a by-product of the performance-driven rendezvous design that implicitly synchronised sender and receiver, but was the only way to synchronise threads that did not share memory. L4 IPC also had timeouts to prevent denial of service. Over the years we removed much of the L4 IPC functionality, mostly to simplify the kernel, but also the programming model. 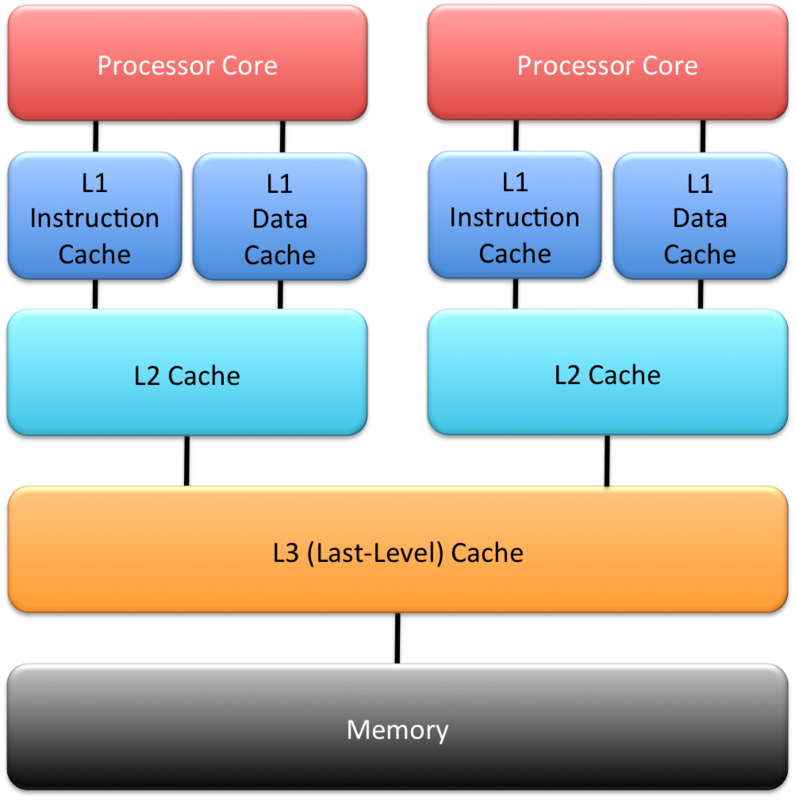 For example, L4 forced a multi-threaded design on many applications even on a single core. This is bad policy that forces concurrency control onto code that is not meant to be concurrent. In seL4 we simplified things to the bare minimum. As a consequence, the nature of IPC changed dramatically from the original L4. seL4 IPC is not a mechanism for synchronising activities. IPC is a user-controlled context switch with benefits. You switch to a different thread (usually in a different address space), without involving the scheduler. The benefit is that you get to carry along a bit of data. That definition captures the bare-bonedness of seL4 IPC, which is in line with the general seL4 philosophy that the microkernel is a minimal software veneer for securely multiplexing hardware. IPC is the seL4 mechanism for implementing cross-domain function calls. You should really think of IPC in those terms, and only those. Something like an RPC mechanism, except you don’t go across networks, only protection-domain boundaries. where function is the capability of the (server) function you invoke. Present mainline has the clients represented implicitly, but this being fixed with the introduction of explicit reply capabilities in the new mixed-criticality (MCS) kernel that is making its way through verification, and will eventually replace mainline. The MCS kernel makes invocation more like a function call, by providing passive servers, effectively resulting in a migrating-threads model. More on that below. Any other IPC APIs are only for initiating communication protocols or exception handling. that’s what Notification objects are for! that’s forcing synchronisation of activities that should be separate, and forces extra scheduler invocations. Don’t do it! So, why are those things supported at all? Good question, and the answer is historical in some cases. And I certainly think we should reduce the size of the IPC buffer to no more than 64 bytes. You should never need more, and reducing this size will reduce the kernel’s worst-case execution time (WCET), which is important for real-time systems. Obviously, send-only and receive-only IPC is still needed for the listed exceptions. Cross-core IPC might actually still have valid use cases in the mainline kernel (that kernel is legacy for me, so I won’t bother thinking this through). The new MCS kernel introduces scheduling contexts that are passed along with IPC, and passive servers, which can only run at the expense of their client. This kernel definitely does away with the need for cross-core IPC, and we should seriously consider removing it. When IPC is used correctly, endpoint queues are shallow. In particular, a shared server (i.e. a process providing functionality to multiple clients via an RPC interface) should always run at a priority at least as high as that of any of its clients. This prevents the server from being preempted by its own clients. (Not following this rule would result in high-priority clients impeding their own progress, including possible deadlocks.) If this rule is followed, then intra-core IPC can never lead to more than one thread blocked on a particular endpoint. In other words, the maximum queue depth for an endpoint in a properly-designed single-core system should be one. This means the simplest implementation of the queue, i.e. a linked list, should be just fine. On multicore, following the no-cross-core-IPC rule, it should be the same, as inter-core servers should be invoked by a protocol using shared buffers synchronised with semaphores (Notification objects). However, with the MCS kernel and passive servers, the story is a bit different. A passive server always executes on its client’s core (so the local-only rule still applies). However, it can be invoked from any core – in fact, that’s the elegant way to implement mutual exclusion with priority ceiling, a fast and deadlock-free way to protect critical sections. This means that a passive server’s request endpoint can queue up to n-1 clients on an n-core system. seL4 is not meant to run as a single kernel image on large number of cores, it is meant to scale as far as cache-line migration costs are small (say 10–20 cycles). For larger machines, clustering should be used. This means the linked-list implementation of endpoint queues should serve the multicore case as well. Use IPC correctly: for RPC-like invocation of functions in a different address space. Period. The ARC released the composition of the ERA’15 Research Evaluation Committees (RECs) a few days ago. The one relevant to us is the Mathematics, Information and Computing Sciences (MIC) REC. So I was a bit surprised when I looked at it and recognised almost no names. For those living outside Australia, outside academia, or have their head firmly burrowed in the sand, ERA is the Excellence in Research for Australia exercise the Australian Research Council (ARC, Oz equivalent of the NSF) has been running since 2010. It aims to evaluate the quality of research done at Australian universities. I was involved in the previous two rounds, 2010 as a member of the MIC panel, and 2012 as a peer reviewer. The ERA exercise is considered extremely important, universities take it very seriously, and a lot of time and effort goes into it. The outcomes are very closely watched, universities use it to identify their strengths and weaknesses, and everyone expects that government funding for universities will increasingly be tied to ERA rankings. The panel is really important, as it makes the assessment decisions. Assessment is done for “units of evaluation” – the cartesian product of universities and 4-digit field of research (FOR) codes. The 4-digit FORs relevant to computer science and information systems are the various sub-codes of the 2-digit (high-level) code 08 – Information and Computing Sciences. For most other science and engineering disciplines, assessment is relatively straightforward: you look at journal citation data, which is a pretty clear indication of research impact, which in turn is a not unreasonable proxy for research quality. In CS, where some 80% of publications are in conferences, this doesn’t work (as I’ve clearly experienced in the ERA’10 round): the official citation providers don’t understand CS, they don’t (or only very randomly) index conferences, they don’t count citations of journal papers by conference papers, and the resulting impact factors are useless. As a result, the ARC moved to peer-review for CS in 2012 (as was used by Pure Maths and a few other disciplines in 2010 already). Yes, the obvious (to any CS person) answer is to use Google Scholar. But for some reason or other, this doesn’t seem to work for the ARC. Peer review is inevitably much more subjective than looking at impact data. You’d like to think that the people doing this are the leaders in the field, able to objectively assess the quality of the work of others. A mediocre researcher is likely to emphasise factors that would make themselves look good (although they are, of course, excluded from any discussion of their own university). Basically, I’d trust the judgment someone with an ordinary research track record much less than that of a star in the field. So, how does the MIC panel fare? Half of it are mathematicians, and I’m going to ignore those, as I wouldn’t be qualified to say anything about their standing. But for CS folks, citation counts and h-factors as per google scholar, in the context of the number of years since their PhD, is a very good indication. So let’s look at the rest of the MIC panellists, i.e. the people from computer science, information systems or IT in general. Without looking at the data, one notices that only three of the group are from the research-intensive Group of Eight (Go8) universities, plus one from overseas. That in itself seems a bit surprising. Looking at the citation data, one person is clearly in the “star” category: the international member Michael Papazoglou. None of the others strike me as overly impressive, a h-index of around 30 is good but not great, similar with citations around the 3000 mark. And in two cases I can really only wonder how they could possibly been selected. Can we really not come up with a more impressive field of Australian CS researchers? Given the importance of ERA, I’m honestly worried. Those folks have the power to do a lot of damage to Australian CS research, by not properly distinguishing between high- and low-quality research. But maybe I’m missing something. Let me know if you spot what I’ve missed.